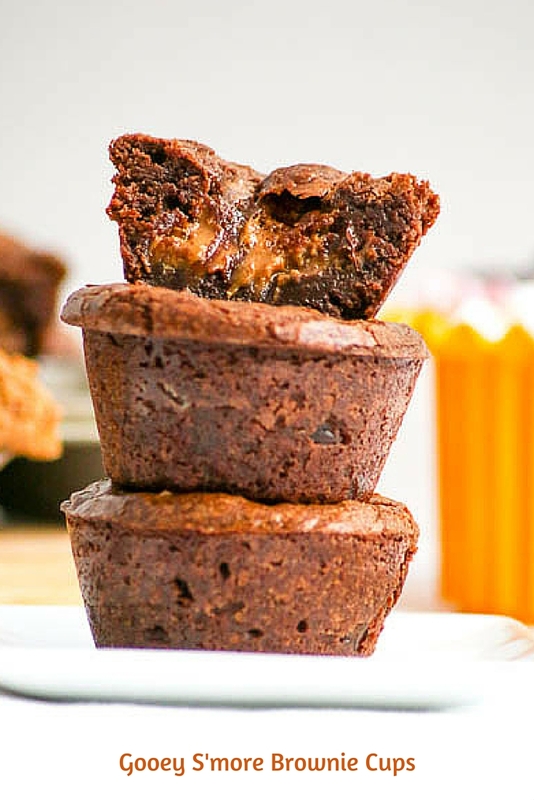 You may have noticed that are many kinds of Gooey Brownie Cups on Desserts Required. That’s because they are incredibly easy to make and over-the-top delicious. 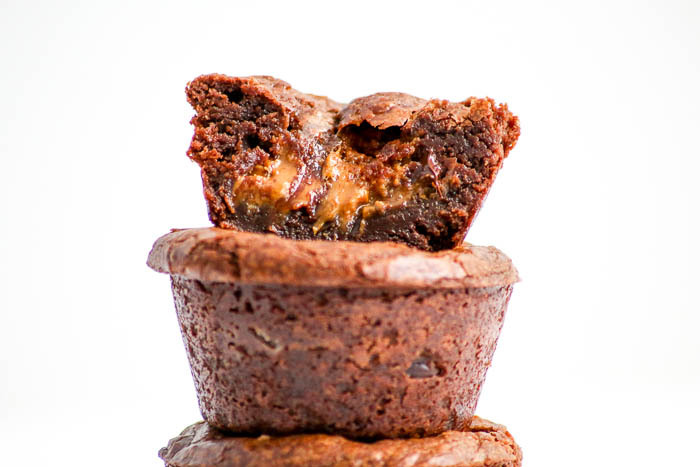 Gooey S’more Brownie Cups combines two of my favorite cups, Gooey Biscoff Brownie Cups and Gooey Marshmallow Monstrosity Brownie Cups, into one outrageous dessert. Biscoff spread reminds me of the flavors found in a graham cracker. Thought was given as to the order in which the filling ingredients were put. 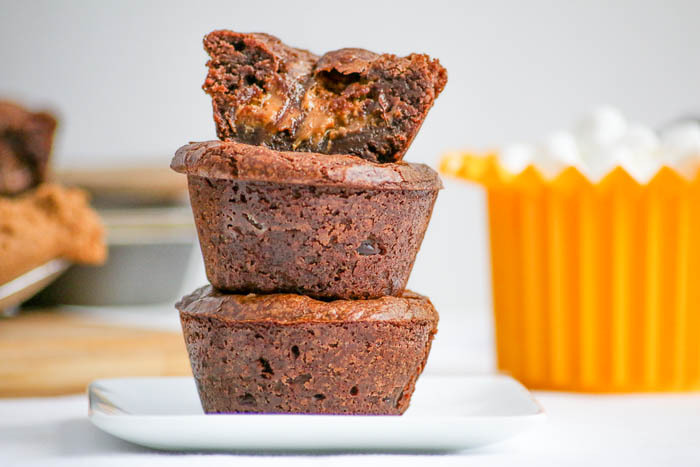 Half of the brownie batter is placed in each muffin cup and then it is topped with mini marshmallows, chocolate chips and a small scoop of the biscoff spread. The remaining batter is then scooped over the top of the biscoff spread. Placing the mini marshmallows on the bottom prevents them from bubbling out over the top of the Gooey S’more Brownie Cups. If you prefer to have them burst through, just reverse the order. Wherever you place the mini marshmallows, the bottom line is that you have to make this recipe. The hardest part if sharing! Lastly, use a wooden spoon to mix in 1¼ cups (8.75 ounces) chocolate chips. Spray the pan with non-stick cooking spray. Use a large cookie dough scoop or a gravy ladle to evenly transfer half of the batter to the muffin cups. Place 8 mini marshmallows in each cup, away from the edge of the pan. Top with 1½ teaspoons chocolate chips per cup. Scoop 1½ teaspoons of Biscoff cookie butter spread onto the chocolate chips. Top with the remaining batter. Bake at 350° on a rack in the middle of the oven, for 18 minutes, rotating the pan front to back halfway through. Remove and cool completely in the pan. 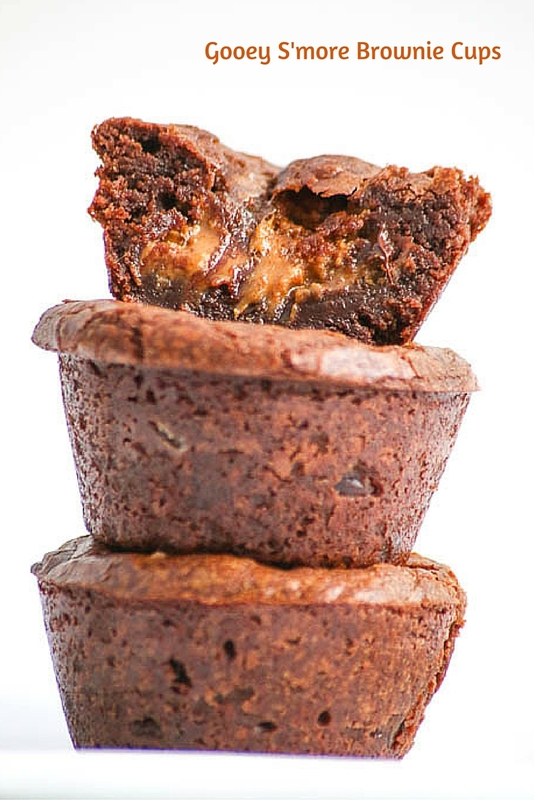 Use a small metal spatula to go around the edges of the Gooey S'more Brownie Cups. Brownies, s’mores AND Biscoff in one beautiful little cup. I can’t think of anything better than this!!! Thanks so much! I think you are right!! !